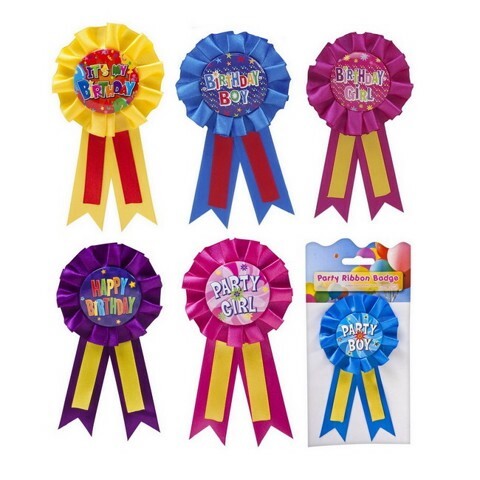 Ribbon Badge Birthday 6Asst. Badge Is 44mm Diameter. 6 Assorted Designs In Assorted Colours. Polyester | Metal. 0 Packaging: Backing Card.